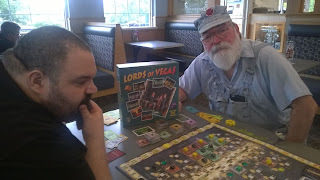 Last Friday Tom broke out Lords of Vegas (2010) with the UP! (2014) expansion. 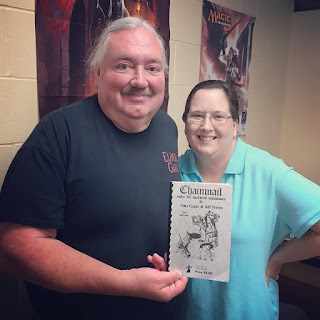 This is a game from Tom Wham's collection that we don't break out often enough, though it's hard to blame us with so many cool Tom Wham games in development to playtest. Nevertheless, last Friday it hit the table at Culver's with the UP! expansion and it came down to a photo finish, three players just a couple of points apart. You and your opponents represent powerful developers in a burgeoning Nevada city. 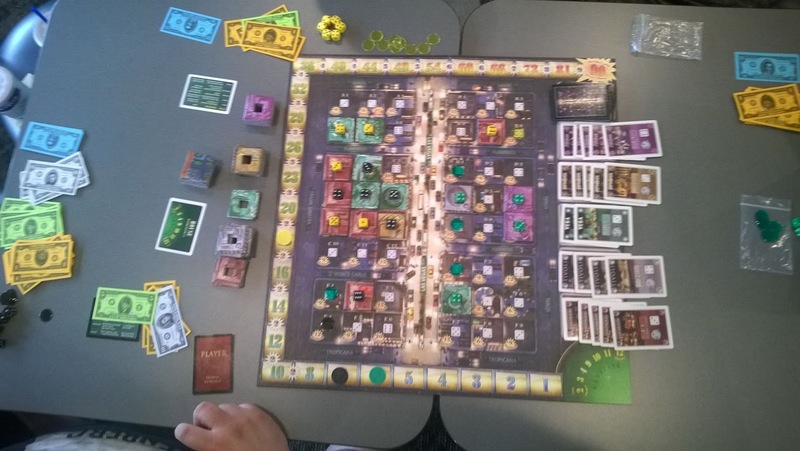 You will earn money and prestige by building the biggest and most profitable casinos on "The Strip," the town's backbone of dust and sin. 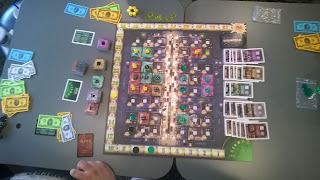 You start with nothing but parking lots and dreams, but from there you build, sprawl, reorganize and gamble your way to victory. Score the most points investing in the most profitable development companies and putting the best bosses in control of the richest casinos. Put your dollars on the line . . . it's time to roll! Your casino empire is expanding, but new players want a piece of your action. There's only one direction to go to stay ahead of your competition — up! 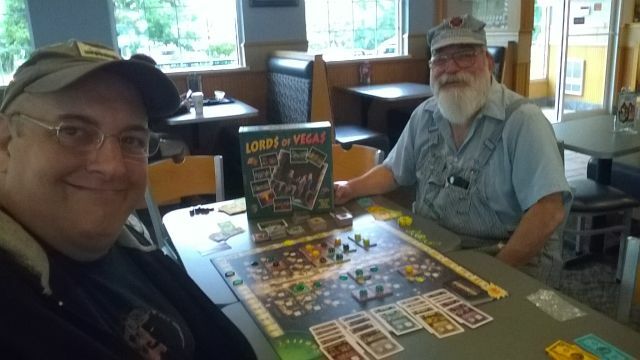 Lords of Vegas: UP! allows for up to six players to compete in Lords of Vegas. What's more, you'll now be able to increase the size of your casinos not just by building out, but also by building up. These new, taller hotels are more prestigious, and as a result earn you more victory points. I went for an isolationist strategy this time around, paying (perhaps a bit too much at times) or trading with the other players to stay off of two larger blocks I decided would be mine. I don't know if this strategy would work with more players than three or without the expansion but in our game there seems to be enough room for it to be viable. The other players were even bidding with one another in the later stages over something I was trading/selling. In some ways the strategy tends to itself, in that if you don't draw properties in your own area, you have something to trade and if you do, it's all good anyway. If others draw in your area, you're probably getting properties in their areas. I hadn't tried this before and only though of it when I saw how the starting setup was, so I may have to try it again with a less favorable starting position to see if it has legs.